We repair any and all types of damage. Our basic refinishing cost is $165. Additional costs will be determined according to degree of damage. 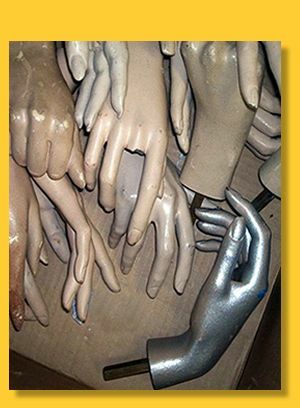 If you are sending a mannequin to be refinished, please send the complete mannequin. is within two weeks, and sooner if you have a deadline to make! There is a $25 crating fee. We ship by your choice of carrier. the average weight is 50 lbs. 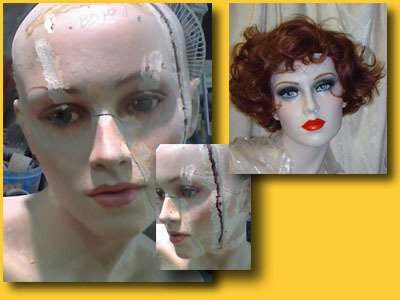 We have mannequins that we will rent locally. We prefer not to ship rentals. Rental clock starts when they leave our shop until the time they are returned.